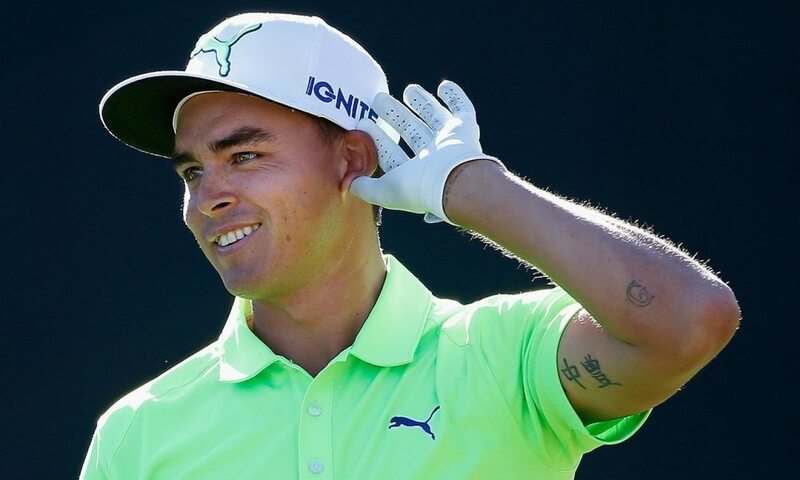 Rickie Fowler heard a lot of roars down the stretch late Friday. For the longest time on Friday it looked as though Rickie Fowler’s putter was letting him down. Fowler shook off three short birdie misses and finished with a flurry of birdies to take the halfway lead at the Phoenix Open. Four straight birdies to finish his round helped Fowler shoot 65 and post a field-leading 13-under par, just a shot better than his pal Justin Thomas. Unlike Rickie, J.T. didn’t make another birdie after his four at the par five 15th. He finished his day’s work with a 66 to finish 12-under, a group in front of Fowler. The day’s best effort went to Branden Grace who scored a hole-in-one a the seventh then an eagle at the par five 13th on the back nine to set up his seven-under par 64 that left him by himself at 11-under. For Thomas, his round was solid but he wasn’t thrilled with his finish. “A little disappointed with the way I played the last three holes,” he said after closing with pars on all three.